Our sister lodge Camp Bonaventure, is pleased to announce a very special and unique Spey Casting and Atlantic salmon Fishing School from September 20th through 27th, 2013, featuring master Spey casting instructor David Bishop andWorld Spey-casting Champion Ian Gordon. This very special school will see experts from both sides of the pond combine their knowledge in this first of its kind Spey casting and fishing school on the Gaspe Peninsula. Day one and two you will learn (or refine) your skills in all disciplines of Spey casting; Traditional, Scandi and Skagit. Five days of professionally guided Spey fishing on the Bonaventure and Cascapedia Rivers with Ian and David will complete your week. 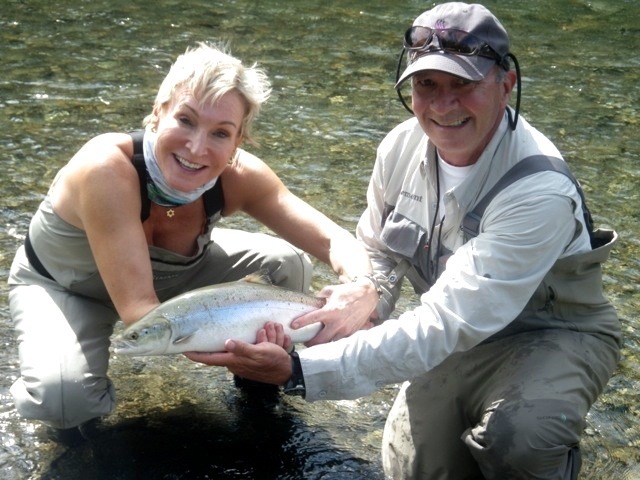 Evening seminars will address the various aspects of both Spey casting and salmon fishing with unique perspectives from both sides of the Atlantic. This 2013 Atlantic Salmon Spey Fishing School is limited to 10 anglers and is open to anglers and spey casters from beginner to advanced levels. Class tuition covers all instruction, meals, lodging, fishing and guides at famous Camp Bonaventure. Regarded as one of the world’s leading experts with a double handed rod, Ian Gordon has worked in salmon fishing for nearly 30 years. A World Spey-casting Champion, he holds a STANIC and AAPGAI instructor’s qualification and through his company speyonline.com runs one of the country’s premier fishing/casting schools, also organising and hosting salmon fishing holidays on various Scottish as well as Norwegian rivers. In his latest film, Blue Charm, Ian encapsulates the allure of salmon fishing in Scotland, exploring the sport of both from a cultural and historic perspective. Ian has also held fly casting schools in Japan, Korea and the US, as well as in almost every European and Scandinavian country. Ian is also principal salmon consultant to Hardy Bros of Alnwick, designing their exciting new range of Sintrix and Marksman double handed rods and also their new range of lines. David Bishop is a professional guide/instructor and manufacturer’s representative in Eastern Canada (Hardy Greys, Wheatley and Aquaz waders). David is also the President and co-owner of The Gaspe Fly Company - exclusive Canadian distributors for Shadow flies and The Montana Fly Company. 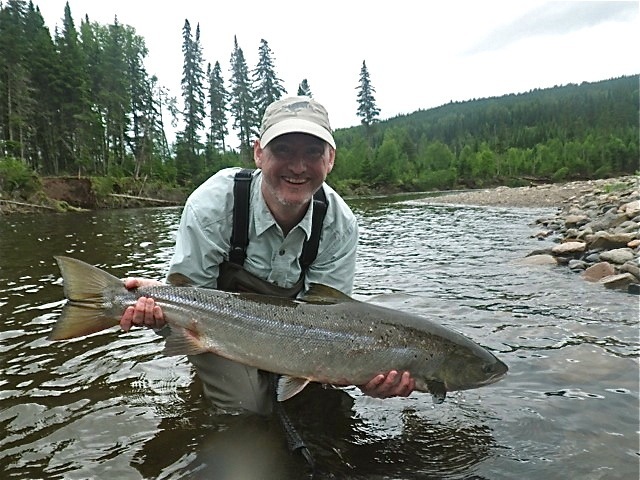 A 30-year Atlantic salmon veteran, 2-time member of the Canadian National Fly Fishing team and former lodge owner, David’s passion and talents as a master Spey caster and instructor are well known throughout the fly fishing community. He has fished for salmon and trout throughout N. America, Iceland, Patagonia, the UK and New Zealand. His reputation for delivering quality angling experiences on and off of the river has earned him respect within the salmon community as one of the modern day authorities on Atlantic salmon angling. Look out for his new Spey casting DVD that will be produced in the summer of 2013! Book Your 2013 Atlantic Salmon Fishing Trip!